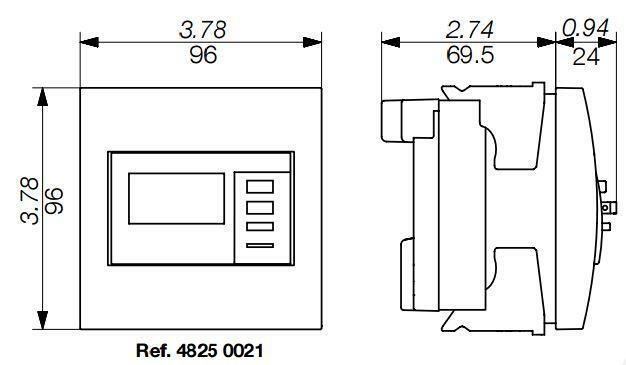 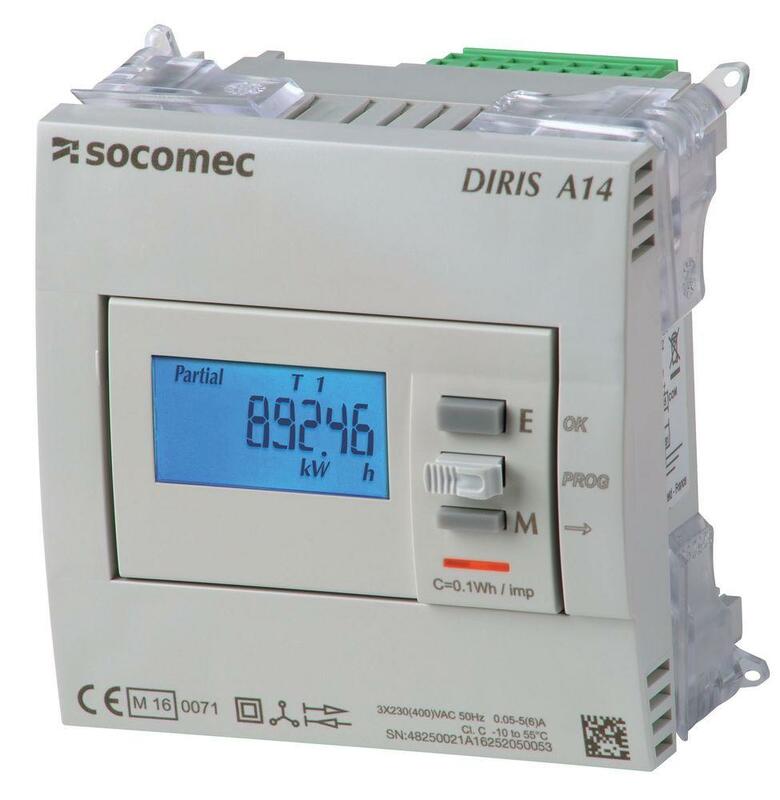 The DIRIS A14 is an MID certified, panel mounted, multifunction CT operated meter. 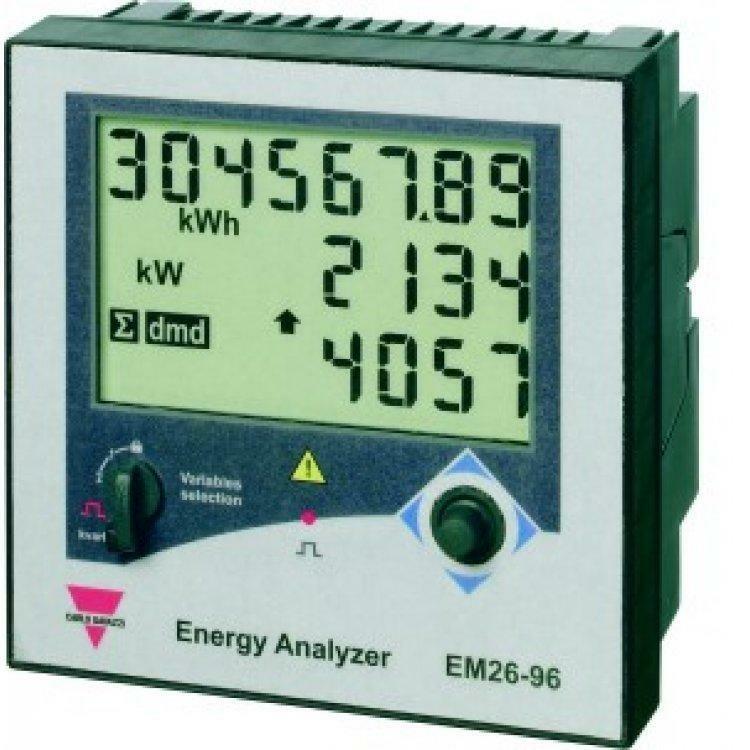 It is suitable for monitoring and managing a network's electrical energy. 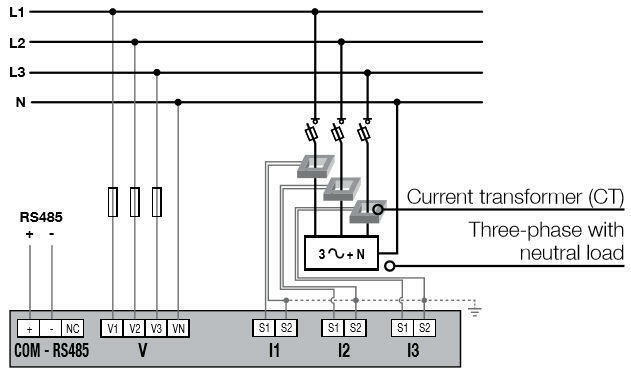 The DIRIS A14 supplies Voltage (V), Current (I), Power and Energy measurements. 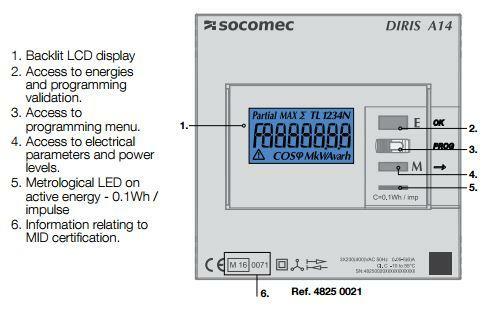 Users can easily access all the product functionalities using the screen and the push buttons. 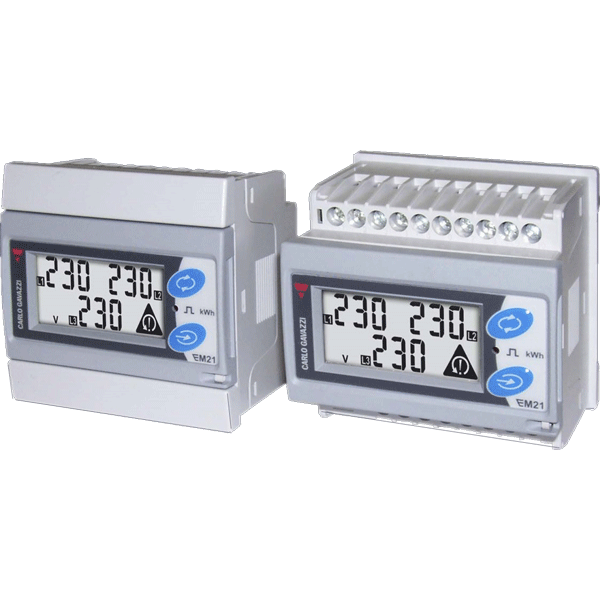 It is fitted with an RS485 Modbus communication bus for remote reading.